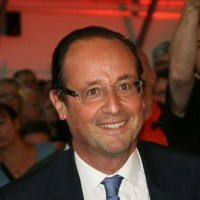 Francois Hollande may be one of the least popular presidents of all time at home in France, but in Israel, where he was greeted yesterday with the red carpet treatment, he is certainly one of the most popular French presidents ever to visit the country. The obvious reason is France’s hard-line stance in Geneva at the latest round of talks on the Iranian nuclear issue. But contrary to how it has been portrayed, Paris’ firmness on Iran’s nuclear program is not driven by a desire to curry favor in Israel—or in the Persian Gulf—and French-Israeli relations should not be reduced to the recent tactical convergence of their attitudes toward Tehran.